I ask for hammes f10 please is it good or not. I'm a new member on the group, I'd like to buy a scooter for the first time, I'm thinking of Hummer F10, any advise???? 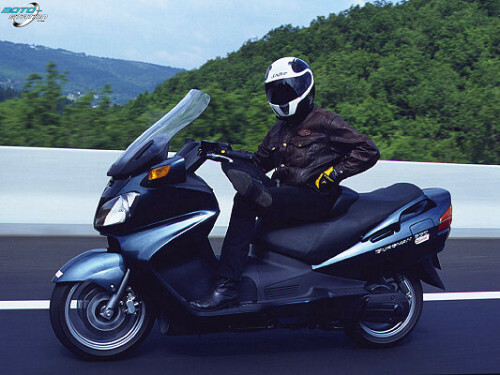 Hello All i wonder if any veteran here could advise, as i kept searching for Yamaha vino- Honda Metropolitan- SYM Mio and did not find, any advice please? hello for all i want to ask about hammers f10 and egos (advise needed) ??! I AM NEW MEMBER AND WANT TO BUY SCOOTER MAXSYM 400, WHAT IS THE AVERAGE PRICE FOR USED ONE RUN 5000KM ??? check SYM also less prices with 150cc and more available spare parts also take care as the honda is not 125cc it is just 108cc in reality with max speed of 90km/hr. Hello All & Happy Feast. I have SYM symphony SR 150, I need to know the maximum weight of the rider and the second person and what is the side effect of overload? Hello Wael, If you are not in a hurry, you can wait for my Varelli Scooters to be here by the end of next month, i have 3 models 2 of which is 150CC, and one 300CC. Also check facebook.com/varelliscooter Thanks. Thanx for reply , i heard about this scooter and someone told me there is also 200 cc from sym... But it is aghla shewaya.... What is ur opinion about it? And where i can find sym scooter?? Dear Wael ,u got to have a look to SYM 150 scooter. I want to buy a scooter for daily use(about 40 KM daily).so I'm thinking in italian vespa or SYM fiddle 2 , if any one has new suggestion please tell me ,I want to know from where I can buy and which is better. hi everybody, can i replace my benelli exhaust by the sym exhaust for lower noise? plz advise. plz ya gma3a 7ad sem3 3an elprand da fe egypt http://www.facebook.com/BenelliEgypt?fref=ts is this italian ????? Next Saturday morning is fine for me but does it will consume all day or till evening or what ? it will depend upon how many participant, so let us see who will join with us, then i will tell you the suggestions, it will be next Saturday morning, is it good with you? Hello Hossam , I live in nasr city and interested , whats you suggestions ? who lives in heliopolis and Nasr city, we want to organize rides together, anyone interested?? soft core riding all over egypt, you will enjoy......soon the group will grow.